What’s the Green Deal Home Improvement Fund? Update: The Green Deal Home Improvement Fund closed on Friday 25th July. Due to “overwhelming public demand” the Department of Energy and Climate Change has said that the allocated budget is gone and therefore no further applications will be accepted. But it was announced on 7th October that an additional £100 million has been made available and the cashback scheme will re-open by the end of November 2014. Most of us know by now that an energy efficient home is the most practical way to help get on top of rising gas and electricity bills. If you’re thinking about making your home more energy efficient to bring down your energy bills, how do you fancy getting up to £5,600 back to help fund your home improvements? There’s a new cashback scheme in town which could be just the ticket to help pay for energy saving home improvements. It’s called the Green Deal Home Improvement Fund aka GDHIF. Introduced by the Government in June 2014, the scheme gives homeowners, landlords and tenants the opportunity to cut the cost of energy saving improvements by up to £5,600 when installing a range of measures from an approved list. Part of the Government’s Green Deal, which was launched last year to help energy consumers makeover their poorly heated and inadequately insulated properties by offering Green Deal loans, the GDHIF has got off to an impressive start. By 26th June, 2,821 GDHIF applications had been submitted, and an estimated £8.5 million dished out within the first two weeks of its launch, climbing to £16.5 million and 4,490 applications after 3 weeks. As we’ve already mentioned, energy consumers can apply for cashbacks worth up to £5,600 – cut from £7,600 when the scheme first launched – through the GDHIF. Only a number of home improvements are eligible, for example you can install double glazing, get an energy saving condensing gas boiler fitted or, if you live in a property with uninsulated solid walls, have solid wall insulation installed, to name just three. The cashback scheme is open to tenants, landlords and homeowners who live in England and Wales – there’s a similar scheme running in Scotland. To be eligible your improvements must have been recommended by a Green Deal Assessor, following a Green Deal Advice Report, or alternatively follow recommendations made from an Energy Performance Certificate. They will need to appear on the list of GDHIF approved measures and, last but not least, you must use a Green Deal installer or provider who is approved to carry out GDHIF improvements. How does the GDHIF work & how do I apply? Install solid wall insulation under core offer 2 and you will be able to claim up to £4,000 back, whether you install external solid wall insulation or internal solid wall insulation. Previously households could claim up to £6,000 back to help meet the cost of solid wall insulation. However this was cut for new applicants from 25th July. Up to £5,600 can be claimed back as part of the Government’s Green Deal home improvement package. If you’ve purchased your home in the last 12 months prior to carrying out these measures, you will be eligible for up to £500 as part of a home buyers’ bonus. An additional ad-on of up to £100 can also be applied for, as a refund for having a Green Deal Assessment Report. 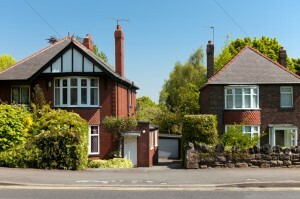 If you live in England or Wales, with the launch of the Green Deal Home Improvement Fund the Government is making it easier than ever for households to become more energy efficient by providing a generous cashback incentive to help energy consumers meet the cost of implementing the improvements. There has never been a better time to make energy saving improvements to your home. The Government has initially invested £50 million into the GDHIF – from a pot of £120 million. But funding won’t last forever. The scheme has already endured one round of cuts, just 7 weeks into its launch. * Claim back up to £5,600 by taking advantage of this brand new Government initiative. Start by arranging for a Green Deal Assessment today. GDHIF payments will be processed from July 2014. You will need to apply for your voucher before carrying out home improvements. Once the energy saving improvements have been completed, you will have six months from the date the voucher was issued to make a claim. The Green Deal Home Improvement Fund works in conjunction with the Green Deal Finance Scheme. But you don’t have to sign up to the Green Deal to benefit from the cashback. Check out the video below to learn a bit more about the Green Deal Scheme. *Editor’s note: This article was updated on 24th July to reflect recent GDHIF changes. Specifically the removal of flue gas heat recovery from the list of eligible measures and cuts to solid wall insulation cashback. It was updated again on 25th July due to sudden closure of the GDHIF by DECC. **Additional editor’s note: Article updated again on 7th October following the confirmation that GDHIF phase 2 will be introduced before the end of November 2014.